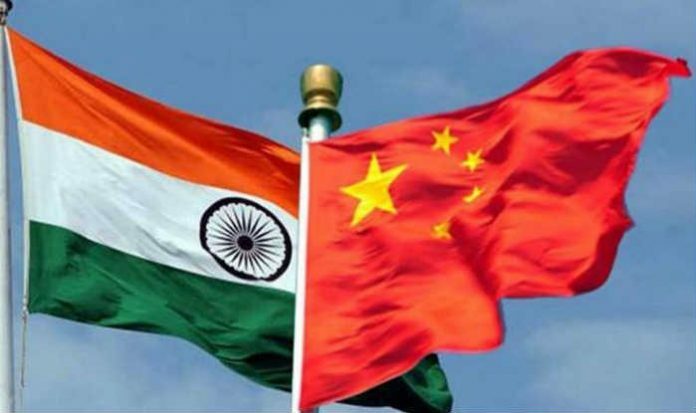 Beijing(PTI): China today accused Indian troops of “crossing the boundary” in the Sikkim section and demanded their immediate withdrawal, while asserting that it has shut down the Nathu La pass entry for Indian pilgrims travelling to Kailash Mansarovar because of the border standoff. “We have lodged solemn representations in Beijing and New Delhi to elaborate on our solemn position,” Chinese Foreign Ministry spokesman, Lu Kang told a media briefing here. “Our position to uphold our territorial sovereignty is unwavering. We hope the Indian side can work with China in the same direction and immediately withdraw the personnel who have overstepped and trespassed into Chinese border,” he said. China, last night, said that it had put off the visit of Indian pilgrims who enter Tibet via the Nathu La pass “for safety reasons” in view of the border issue. “China urges India to immediately withdraw its border guards that have crossed the boundary and have a thorough investigation of this matter,” Chinese Foreign Ministry spokesperson Geng Shuang said. “The Indian border guards crossed the boundary in the Sikkim section of the China-India border and entered the territory of China, and obstructed normal activities of Chinese frontier forces in the Donglang area recently, and the Chinese side has taken counter-measures,” he said in a statement last night. His statement came after the Chinese Defence Ministry accused the Indian troops of objecting to building a road in what it claimed to be Chinese territory. The dispute over the construction of the road was apparently the reason why China stopped a batch of 47 Indian pilgrims from crossing through Nathu La border in Sikkim into Tibet to visit Kailash and Mansarovar. In his statement, Geng said that the Sikkim section of the China-India boundary has been defined by treaties, noting that the Indian government has repeatedly confirmed in writing that there is no objection to it. China urges India to respect boundary treaties and China’s territorial sovereignty to maintain peace and stability at the China-India boundary, Geng said. In view of the above event, for safety reasons, China has to put off arranging for the Indian pilgrims to enter China through the Nathu La pass, Geng said, adding that China has informed India of its decision through diplomatic channels. The Nathu La Pass sits 4,545 metres above the sea level and is wedged between Yadong County in Xigaze Prefecture, Tibet Autonomous Region, and Sikkim. Yesterday, Geng had also said that the foreign ministries of both the countries were in talks over this issue. Geng’s statement comes after tension mounted in a remote area of Sikkim following a scuffle between the personnel of the Indian Army and the PLA, leading to Chinese troops damaging bunkers on the Indian side of the border. Following, the India-China war of 1962, the area has been under the Indian Army and the ITBP, which is the border guarding force and has a camp 15 km from the international border.